Joining the EU means meeting all of its rules and criteria, including energy legislation. But bloc-hopeful Kosovo, just like its other Balkan neighbours, is struggling to make any headway there, writes Philippe Charlez. Philippe Charlez is an energy expert specialising in non-conventional resources and energy transition, and the author of many articles and books on energy. He joined French energy multinational Total in 1982 where he is now senior technical advisor. The EU-Western Balkan summit in Sofia next month carries considerable stakes for Kosovo. The geopolitics are fraught enough, with several Balkan countries refusing to participate over Kosovo’s status as an independent country. Pristina is also struggling with a key requirement in terms of its European aspirations: EU emission standards. Instead of showing goodwill by committing to European energy norms, Pristina and its neighbours are falling prey to counterproductive tendencies borne of misguided energy nationalism. That disconnect carries serious risks for relations between the Western Balkans and Brussels. The latter demands a fundamental energy transition and a shared electricity grid that run up against Balkan energy security and industry competitiveness. Energy nationalism prevents Kosovo from pursuing a real transition towards cleaner energies, reinforcing instead energy autarky based on unsustainable coal electricity. Kosovo embodies this dilemma like no other Balkan country. 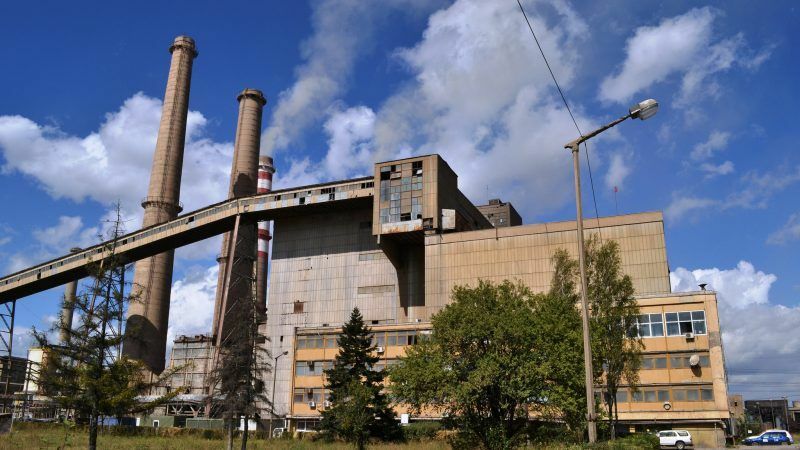 Although Bosnia and Serbia are building coal power plants as well, Kosovo sits on top of the world’s fifth largest lignite deposit and wants to use it. Lignite currently provides 97% of the nation’s energy, but it also gives off also more toxic fumes than other coal types when combusted. However much they distrust each other, neither Kosovo nor its neighbours can afford to underestimate the importance of the energy transition. The European Commission’s Western Balkans Strategy emphasises the transition to sustainable energy as a precondition for membership. It also stresses that the relevant provisions of the Energy Community Treaty, which apply EU energy and environmental law across the region, must be translated into concrete policy. The Energy Community wishes to harmonise the EU’s energy market with that of the Balkans and promotes the objectives of the 2030 Energy Strategy. The Strategy stresses a greater role for low-carbon technologies, including renewables and nuclear energy, to reduce CO2-emissions by 40% compared to 1990 levels and make energy more affordable. There are three fundamental pillars underlying a successful energy transition: an environmental pillar centred on climate change, an economic pillar based on corporate competitiveness, and a societal pillar revolving around energy security. As the Balkan countries seek to square the circle between environmental, economic and social imperatives, nationalism skews the balance towards energy security and competitiveness while critically neglecting the climate. This approach undermines the needs of future generations to serve the present. Not that Europe’s member states do a flawless job themselves. Germany, ceding ground to powerful domestic lobbies, suspended use of nuclear power only to start importing huge amounts of coal. Poland continues ramping up its own coal production to prevent becoming more dependent on Russian gas imports and maintain its relative independence from its former “Big Brother”. Kosovo, like Poland, is focused not on reducing coal consumption but instead maintaining energy independence from Serbia after seceding in 2008. Pristina’s fears have some valid basis. Serbia is responsible for balancing Kosovo’s power grid and is failing to do so. In March 2018, Serbian power operator EMS protested Kosovo had been sapping more energy from the local grid than it generates, producing a knock-on effect that made some electrical clocks across Europe to run six minutes slow. Kosovo’s coal decision stems from Serbia’s control over its national grid. All the same, coal plants carry social and economic costs beyond EU accession. Kosovo’s two other lignite-fired coal plants near Obiliq have already made the city the “most polluted area in Europe”. An EU assessment named Kosovo the most polluted country in Europe. In Pristina, air pollution from coal fires rivals Beijing and costs the government tens of millions of euros every year. There are alternatives to coal, but they will require hands-on European engagement. The EU is already pushing Pristina to focus on renewable energy. However, even renewables come with caveats. The New Nuclear Watch Institute (NNWI)’s “The Electricity Market of Southeast Europe” – a new report due to be presented ahead of the Sofia summit – estimates the use of renewables will expand until 2040. From that point, however, it estimates integrating renewable energies would start getting more expensive per megawatt produced. The report also points to a dearth of wind and more frequent drought conditions across the region as further limiting the capacity for renewables alone to stave off electricity shortfalls, which it projects will otherwise hit southeast Europe as soon as 2027. To plug those important supply gaps, the NNWI’s Tim Yeo has pointed out one option largely absent from energy discussions in the Western Balkans since 2009: nuclear energy. None of the Western Balkan states have nuclear power plants, but the NNWI suggests plans in neighbouring countries (untangled by the former Yugoslavia’s rivalries) could plug supply gaps and provide a low-emissions, reliable substitute for energy currently generated through coal. Yeo specifically highlights plans for expanded “brownfield” or existing site capacity in Romania and Hungary, already slated to add 3,164 MW of nuclear capacity (equivalent to 3 French nuclear units) in the region. Additional projects under consideration could add a total of 4.6 GW of capacity to the regional energy mix. The spectre of regional electricity shortfalls and rising pollution could change the calculus surrounding initiatives such as a 2 GW nuclear project in Belene, Bulgaria that has remained suspended since 2012 despite €620 million in Bulgarian government investment for equipment. In the context of EU accession, Kosovo and its neighbours must also understand any coal plants will become instantly uneconomical under the EU’s mandatory emissions trading scheme. Even technical upgrades would not fulfil EU environmental regulations, meaning plants will have to close within a few years of completion. Ultimately, European leaders both in and outside the Balkans must prioritise the energy transition and overcome their nationalist tendencies, expand the electric grid across the region, and align it with the EU as envisioned by Council President Tusk’s proposed European Energy Union. Opening electricity markets and networks to the bloc could help alleviate fears of being overly dependent on their neighbours and present its own solution to energy nationalism.